Can you think of any better way to start the week than with a heart-shaped chip? Photo taken at my sister’s house. I am not taking credit for feeding children chips for breakfast. Ahem. 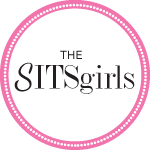 Not to be outdone by her sister. 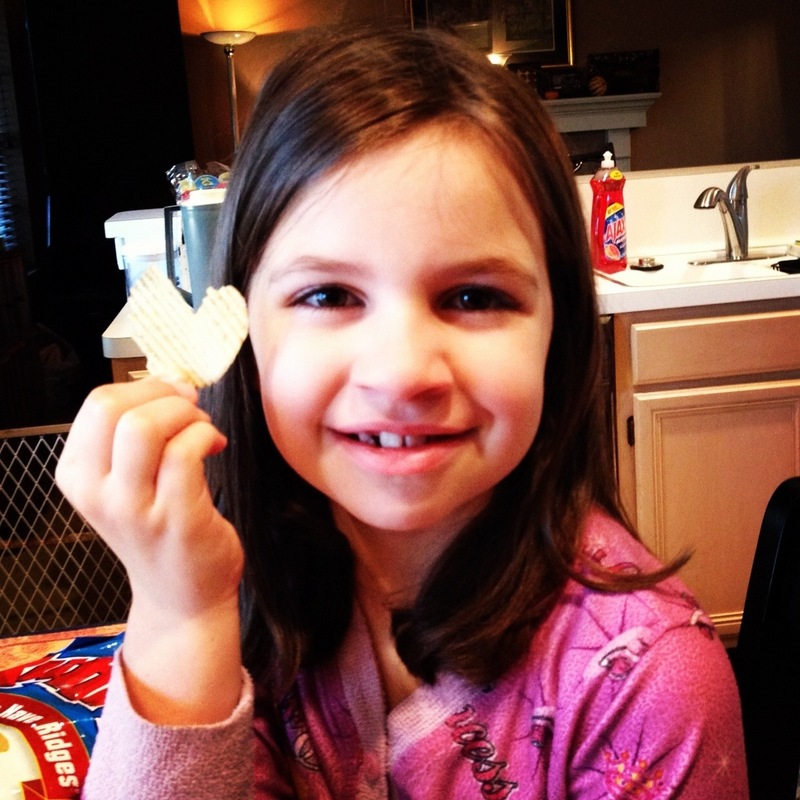 Bridget found a heart chip too. 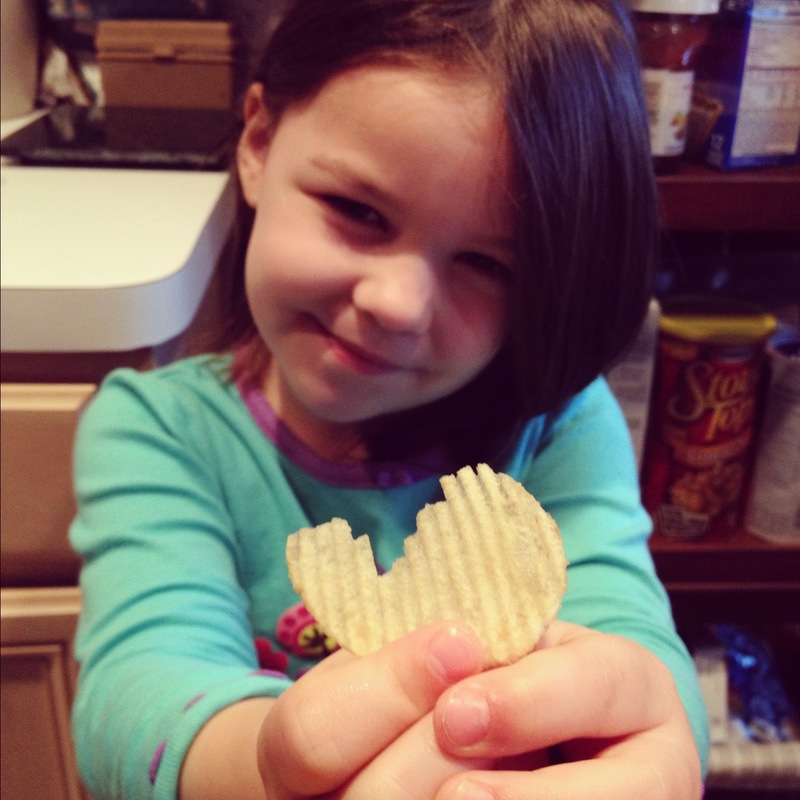 So when I think of Valentine’s Day and all the LOVE…..I think of Ruffle’s heart chips and my girls. I hope you find something like that. Something small and sweet (or salty). I hope it gets you through the week of LOVE. And just for fun, here is a look at last year. Happy Monday before Valentine’s Day! …..And to my Valentine, if you are reading this, I just want a heart-shaped cookie cake with LOTS of icing. You can skip the flowers and fancy dinner. Isn’t that nice of me? It is ALL I want. Cook-ie Cake! Cook-ie Cake! Heh! We’ve found amusing shaped chips too. I love the heart ones! That cookie sounds LOVE-LY! Yum. 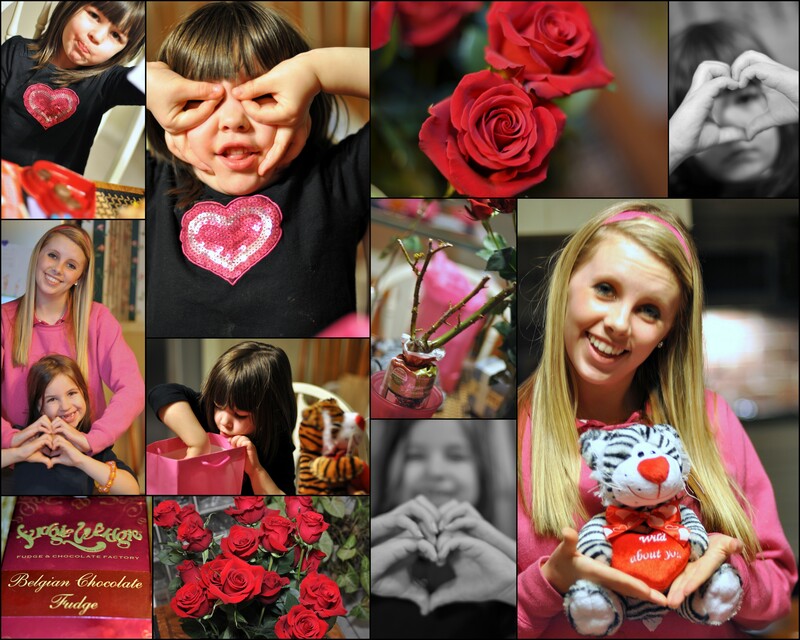 Happy Heart Day. Chips and cookie cake with icing…yummmmmmm! You are not requiring a lot for Valentine’s Day. I want dinner (made by Hubby) and a card. Flowers would be accepted with glee. I don’t need dessert because I know that dinner will be HUGE! Anything heart shaped always makes me say “awwwww” The chips are adorable. Just wanted to say Happy Valentine’s Day and I hope you get your cookie cake! Happy Valentine’s Day! I hope you get that cookie cake! What’s really weird is that I saw someone post a picture of a heart-shaped potato they pulled out of a bag of golden potatoes yesterday.